...We went to Vienna this morning, courtesy of Rick Steves and PBS--in our robes and sipping a hot mug of jasmine green tea. Oh, my goodness, such fun. I love travel shows, practically as good as being there without all the fuss. ...Cleaned out some daunting piles of paperwork and reduced them to a couple of civilized, ready-to-be-filed stacks. Happy sigh. 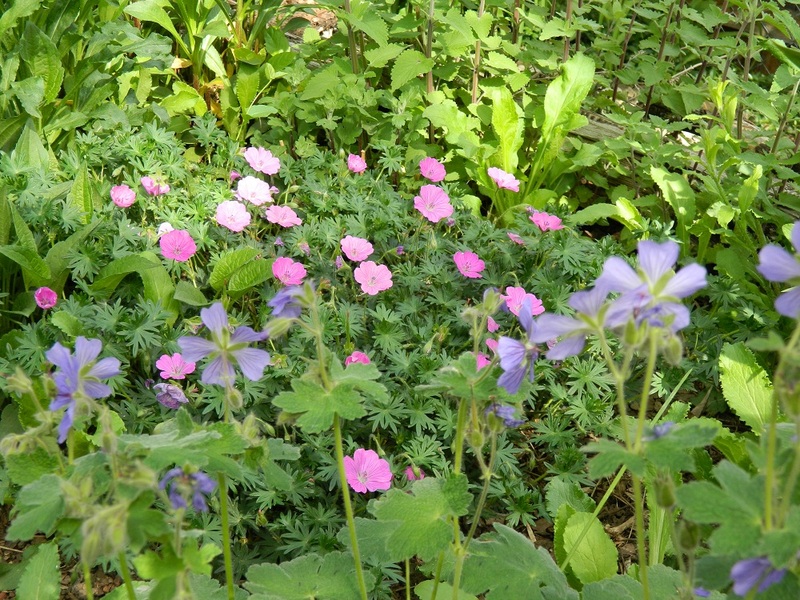 ...Swept the patio, washed down the furniture, cleaned out a storage table, sorted and cleaned piles of junk, and got thoroughly distracted by all the lovely green lushness and growing things, the birdsong in the trees. 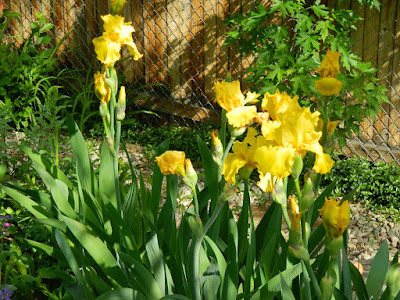 My yellow irises in the photo above haven't bloomed like this since the summer SweetPea was born. And just take a look at the delicate sweetness of this Lily-of-the-Valley. Aren't they exquisite? Their scent truly is perfume. ...Found a delightful recipe website, MyRecipes.com and solved my angst over what to cook for dinner (I'm so bored with my cooking)--made Greek-style Shrimp Scampi. Absolutely delicious! I added yellow squash and zucchini in case you decide to try it. ...Enjoyed my precious daughter and was thankful all over again for the wonderful friend she is. You're sweet...and a wonderful friend, too. :) Love that picture of the Lilies-of-the-Valley! That camera does great with macros. Sounds like a great time. 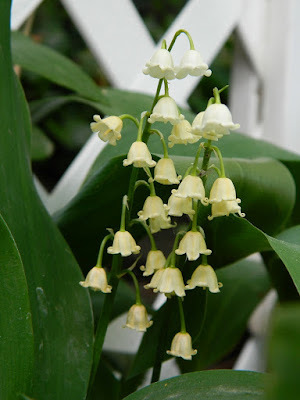 Those lily of the valley are very pretty. Glad you got the VBS curriculum finished, sounded like a pretty big project. Oh that just sounds so lovely. We are still plowing through till the end of June. I think this coming year we will start earlier and end earlier like you gals do. I have felt for years that I am always behind because we are still going when others have finished. I think it would do me a world of good to change this. Thanks for stopping by you blessed my day.